Virtustream is a Cloud Computing service provider headquartered in McLean, VA, United States. Founded by Rodney J. Rogers and Kevin Reid in 2009, the company was bought by EMC Corporation in July 2015 for $1.2 billion in an all-cash deal. EMC Corporation merged with Dell Technologies in September 2016, bringing Virtustream under Dell. Virtustream offers several cloud computing products, solutions and managed services for enterprises and government organizations. The company also offers products such as xStream, a cloud management platform, Viewtrust, risk management, and continuous compliance monitoring as-a-service solution and µVM(Micro Virtual Machine), a cloud resource management technology. Virtustream products are focused more on enterprise customers government organizations and niche segments like healthcare.The company also offers planning and migration service to companies which helps companies migrate and manage their cloud. The flagship product is designed for handling complex IT landscapes and mission-critical applications. 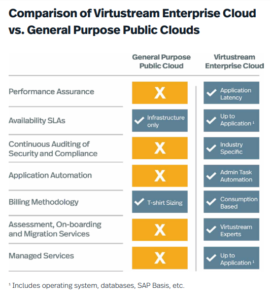 As a fully managed service, Virtustream Enterprise Cloud offers up to 99.999% availability, which is higher than general purpose public clouds. A HIPAA/HITECH-compliant cloud built for healthcare providers. Offers availability SLA up to 99.999%. Healthcare providers can also avail the optional 24×7, managed service offered by Virtustream. Virtustream helps companies plan and execute their migration to the cloud. 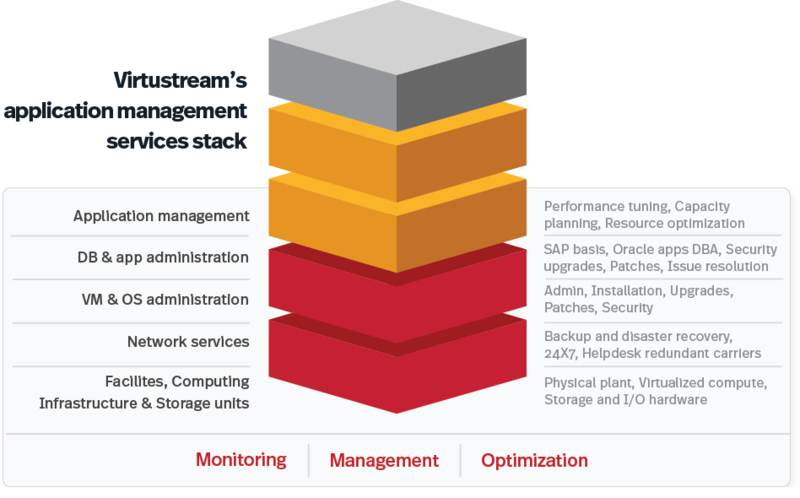 Virtustream Advisor, a proprietary analysis and planning tool built by the company helps customers understand current IT consumption, patterns, recommended solution architecture, estimated cost savings and ROI, TCO analysis, Executive summaries and presentations. 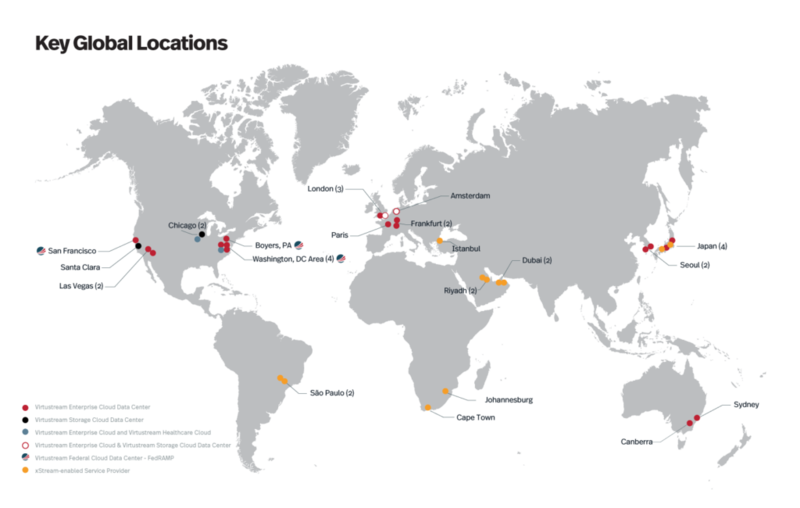 As a cloud computing service provider Virtustream has built more than 20 data centers around over the world.